Oh hey there stranger, it has certainly been a while. Apologies for the absence over the past few months but I do hope to be back for good. I know I said that a couple of times in the past but I really mean it this time, I swear! Anyways, during this period of time I have given some thought and have officially decided to shift the focus of this blog to eateries outside of Sydney, plus interstate and overseas locations. But don't worry Sydney siders, there will still be a few Sydney cafes and restaurants popping up here. So given the freezing temperatures these days, I thought it would be best to kick off today's post about hot pot. 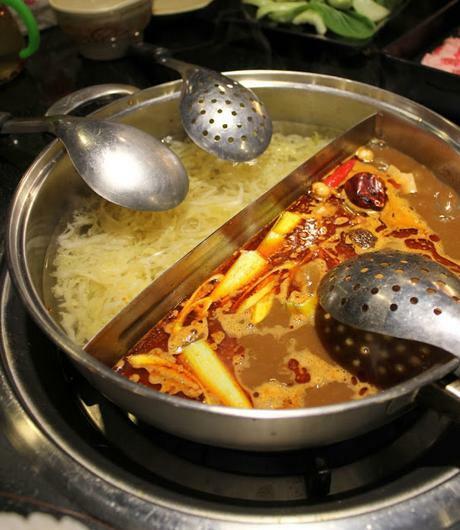 I am a sucker for hot pot all year round but my appetite for hot pot seems to double during winter. Who else has this problem? 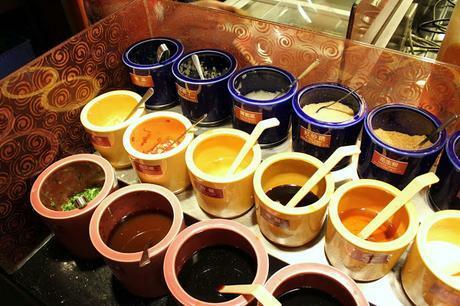 If you are ever in Taiwan then I would highly highly highly recommend Mala Spicy Hot Pot. For two hours, you can literally eat and drink your heart out. Two hours is also definitely enough to fill up your stomachs, even if you are a bottomless pit like myself. Lunch is NTD545 (AUD23) and dinner is NTD635 (AUD27). Although it is considered pricey in Taiwan, the AUD conversion makes it fairly affordable for us Aussies, especially given that it is a buffet. 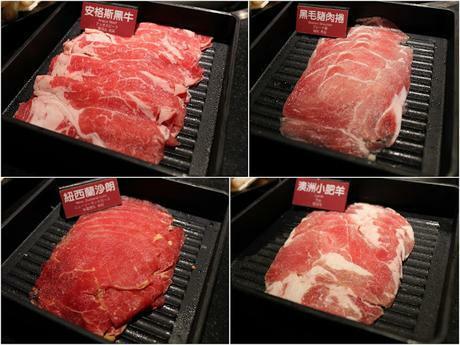 Not only is it an all you can eat buffet but they also have a menu of the more "premium" cuts of meat for you to choose from (which is included in the pricing). There was the America short plate, New Zealand loin, American angus beef, bacon slabs and the boston shoulder. For $26, not only is there a huge range of food / ingredients but the quality of the meat available was pretty dam impressive! No way would you be able to find this quality of meat for the same price in Sydney. 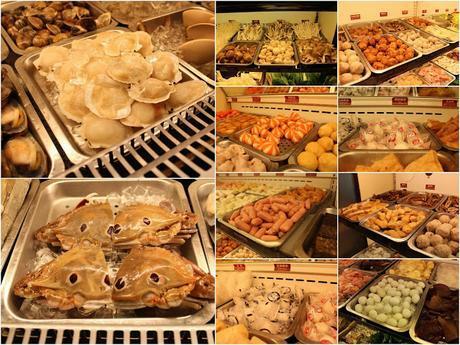 At the back of the restaurant was an open fridge filled with endless amounts of trays of seafood, fish and meat balls of every possible kind you can think of, chicken, mushrooms, tofu and various types of vegetables and so forth. 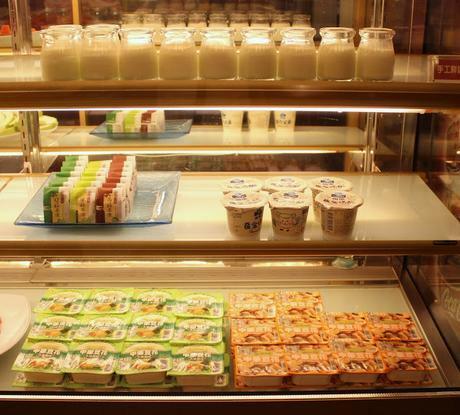 This section is monitored and stocked regularly so you don't have to fear of ingredients running out. Rest assured people, rest assured. 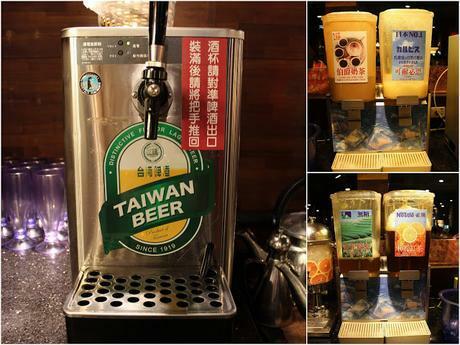 There is also a selection of beer on the menu but they also have Taiwan Beer for you to pour away till your bowel and liver are content. 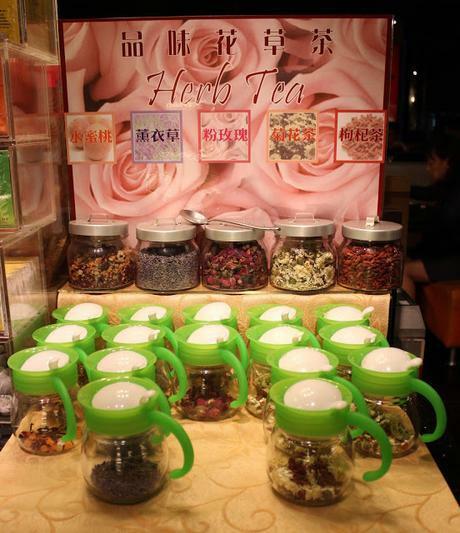 For the non-alcoholics, there is also a generous selection of teas, juices, more teas and other drinks. 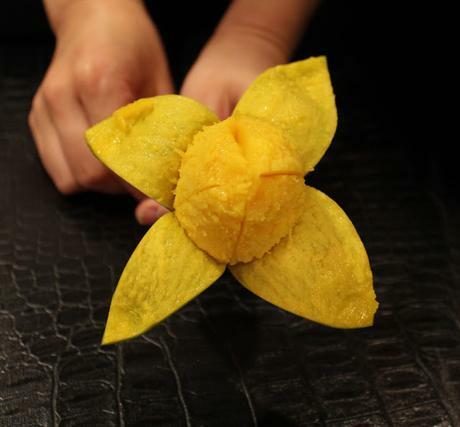 How pretty is this mango! There are a few Mala Spicy Hot Pot restaurants around Taiwan (Zhongshan, Fuxing, Nanjing, Xinyi, Zhongxiao, Ximen and Gongguan) and they all open till late. I would recommend making a reservation but if not, you can just place your name down on the waiting list, roam around and have a late dinner and eat and drink till midnight like MC and I did! Has anyone else been here? 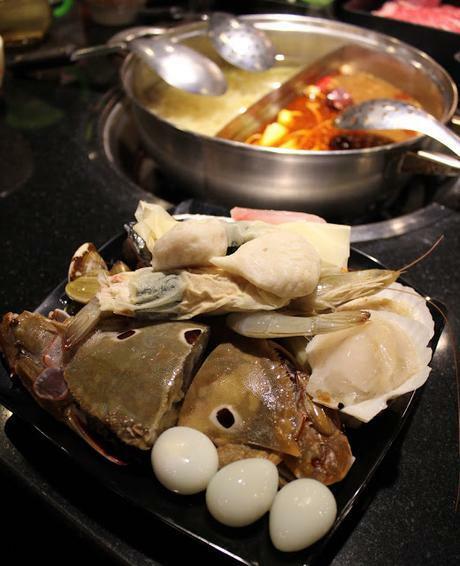 Would love to know your thoughts if you have or have any other hot pot in Taiwan to recommend!